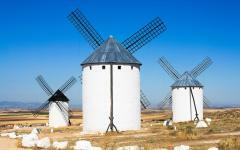 Three destinations truly evoke and encompass Spain’s seduction. 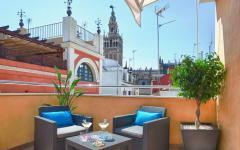 Madrid is the capital of atmospheric terraces, regal art, and astonishing monuments. 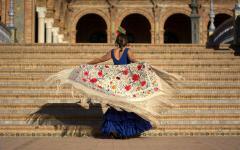 Seville is the home of flamenco, vibrant Andalusian culture, and the legacy of conquistadores. 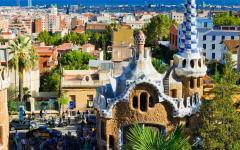 And Barcelona is the icon of coastal pleasures, Catalonian pride, and Gaudi’s inspiration. Savor four days at each destination, two dedicated to the cities, and two reserved for private day-trips in the evocative surrounding regions. Some European countries make for obvious itineraries. London is practically unavoidable in the UK. A first-time visit to France rarely misses Paris. How many people plan to visit Italy without seeing Rome? Spain is a little different. This is a country with so many iconic destinations, and each is as revered as the next. Regional diversity is alive in the language, cuisine, atmosphere, and style. Architectural wonder spans the centuries, from the Modernist movement to the mosques built by the Moors. Close to 50 World Heritage Sites dot the country, from opulent palaces to roving cathedrals and imperial cities. There are also the distinctive experiences, only available in a tiny part of the country. Here you will experience an authentic flamenco performance, sparkling Cava, idiosyncratic art, and architecture. Often, it can feel like there is too much choice. 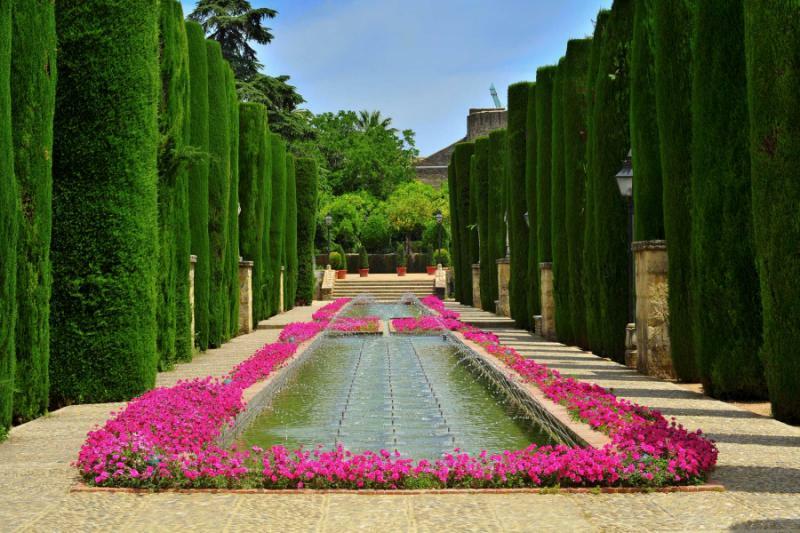 This handcrafted private tour immerses you in Spain’s three most distinctive destinations, giving you a real flavor of country capital Madrid, Andalusian capital Sevilla, and Catalonian capital Barcelona. Spending four days in each city creates a relaxed program, two days dedicated to the best of the city and two days reserved for private tours in the wider region. So much comes together when you have this much time, although, like all handcrafted itineraries, this three-destination tour can be shortened to specific preferences. Authentic and intimate, this luxury tour is not just about the monuments and major sites. 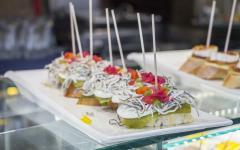 It also focuses on the local atmosphere, as told through culture, cuisine, and chatter on the outdoor terraces. 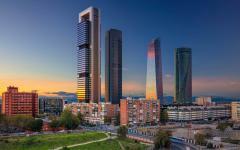 Start in Madrid, as relaxed a capital as any in Europe. 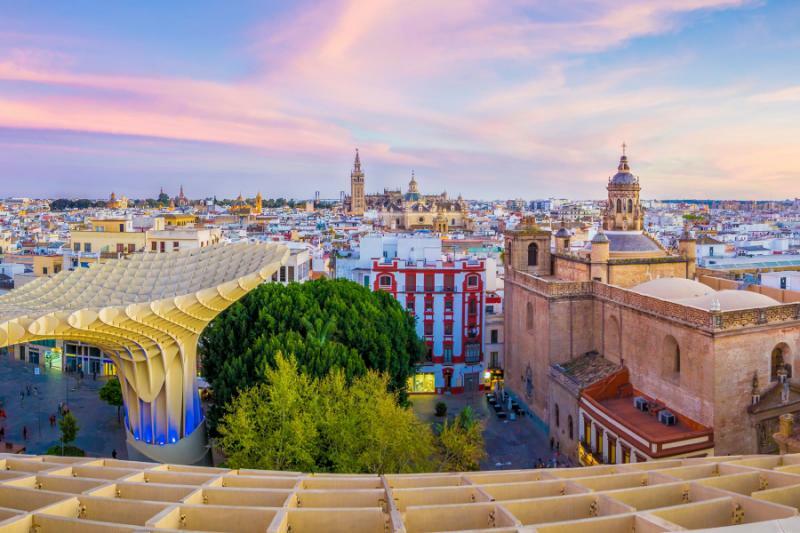 Explore its legendary art galleries, take a tour through streets of tapas, settle into the ambience of plazas and terraces, and discover a city that always has time to stop and chat. Two days in the compact central city are followed by day trips to El Escorial, a remarkable palace that houses so much of the gold taken from the New World, and the old-world Imperial City of Toledo. 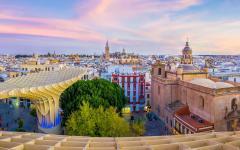 Both are less than an hour’s travel from Madrid, and you return to the capital in time for the late afternoon, when terraces start getting busy, and the inviting ambience of the city is in full swing. 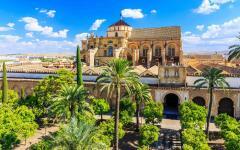 It’s two-and-half-hours by high-speed train to Seville, a first-class journey providing an easy window onto the landscapes of rural Spain. Wander the streets of cobblestone and curiosity, absorbing the fiery atmosphere of Andalusia and the south. Exploring the architecture honors the conquistadors who led Spain through Golden Age fame. Exploring the ambience is personified by a night of flamenco, a performance of improvisation and beauty in a local bar. 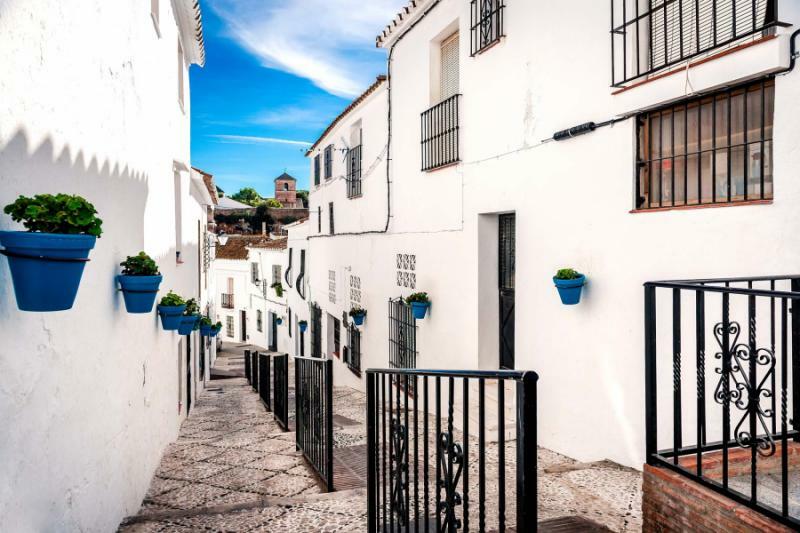 The tiny white village of Arcos de la Frontera is your day-trip destination today, then the old Moorish capital of Cordoba holds you captive tomorrow. 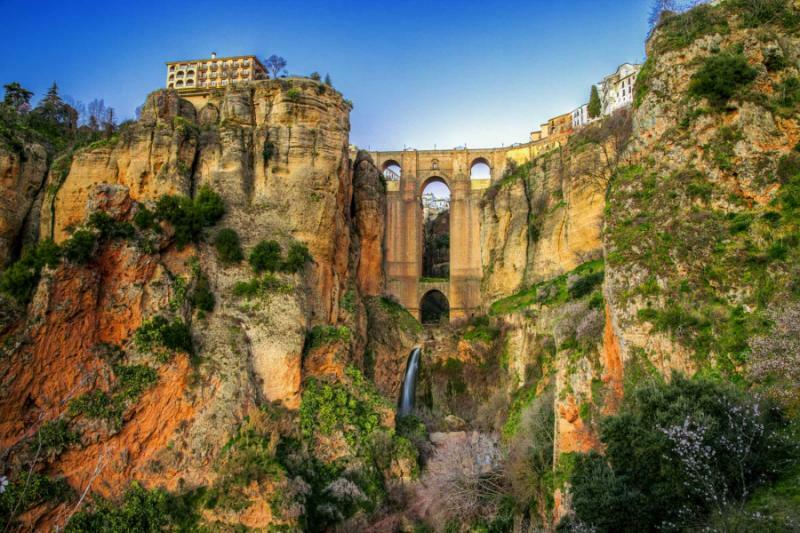 These two ancient places are completely different, yet both feel emblematic of Andalusia. Fly to Barcelona, where your hotel is neatly located within Barri Gotic, on streets that have been around since the Roman era. 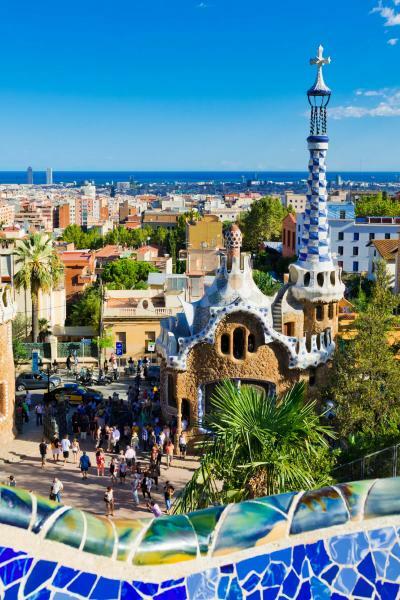 Gaudi’s architecture takes centerstage but there is much more than La Sagrada Familia and Park Guell, as a guide takes you to the casas (houses) that reflect early Modernist work. 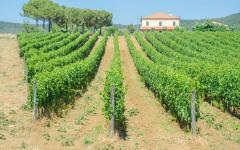 Discover various vintages with a day in the Penedes Wine Region, home of Cava and some exceptional cuisine. 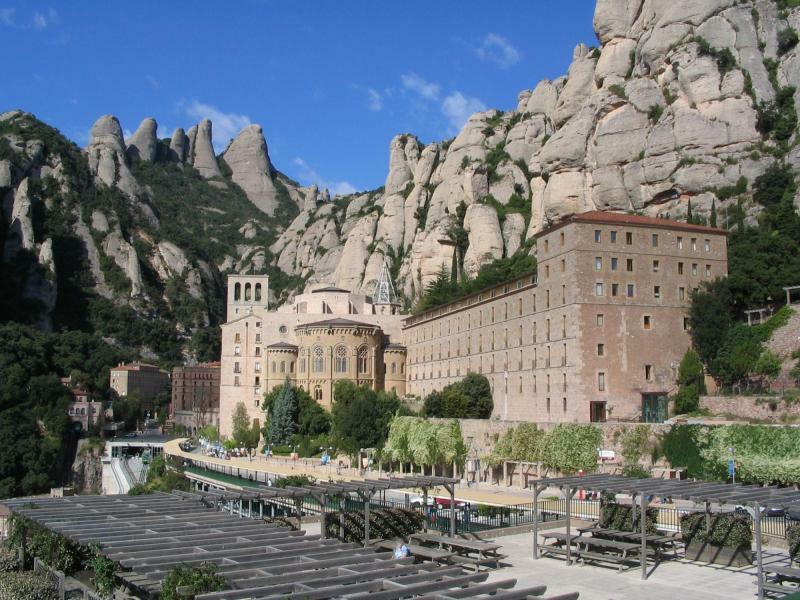 Then feel the spirituality of the old-world at Montserrat, where a choir sings, and the mountain engulfs you in silence. There is a free day to enjoy the coast along with some personalized dining recommendations to make the most of the Catalonian pleasures. 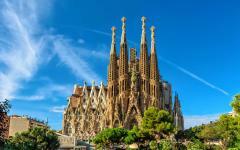 Like Madrid, Barcelona offers extensive flight connections for your journey back home. 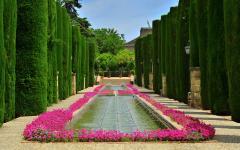 Begin planning your dream Spain vacation by visiting the best Spain itineraries page on Zicasso. Zicasso works closely with the best Spain tour operators to ensure that you have a fully personalized trip of a lifetime. Madrid always surprises, with visitors expecting a bustling city, but discovering the serene atmosphere of a city lounging in the past. Lunch time regularly extends until 4 pm, maze-like central lanes are great when you do not have a map, and the outdoor scents move from coffee to red wine as the day progresses. This is a city that lives outside, with chatter emanating from al fresco terraces, and the sense that what could be done today can be left for tomorrow. 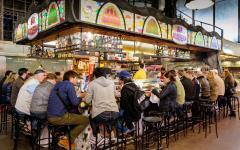 This laid-back style makes Madrid an excellent starting point, particularly if you are prone to jet lag. There is something going on at all hours of the day and something to enjoy whenever you are exploring. You are greeted at the airport, and it is a short, chauffeured transfer into the city, where your hotel is nestled in the city’s old quarter, within a five-minute walk of the Plaza Mayor. The afternoon is at your leisure, and the central streets make for easy exploration. 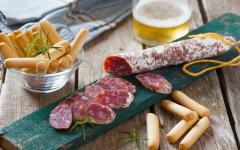 Then it is the scents that guide you through the evening, as a private tapas tour introduces the gastronomy of a country. Juxtaposed bars are run by chefs from distinctive regions. Sample octopus from Galicia, sea urchin pintxos (small plates) from Basque, hams and cheeses with regional flavors, and a simmering chorizo stew that sends its fragrances far down the street. 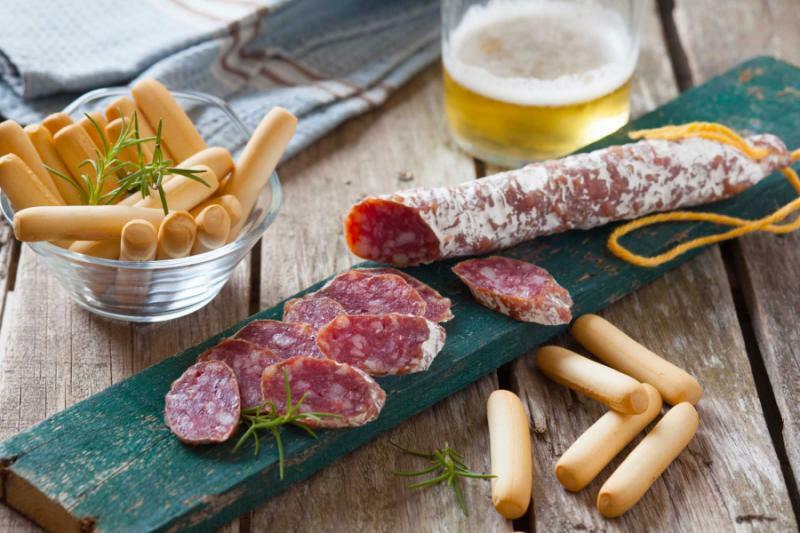 Tapas is an accompaniment, of course, served with a drink.This tour of gastronomy also incorporates the wines of the country, starting with a Cava, moving through La Rioja, culminating with Ribera del Duero wines. A statue of Don Quixote looks on as you wander beneath the thick stone doorway of an Egyptian temple. 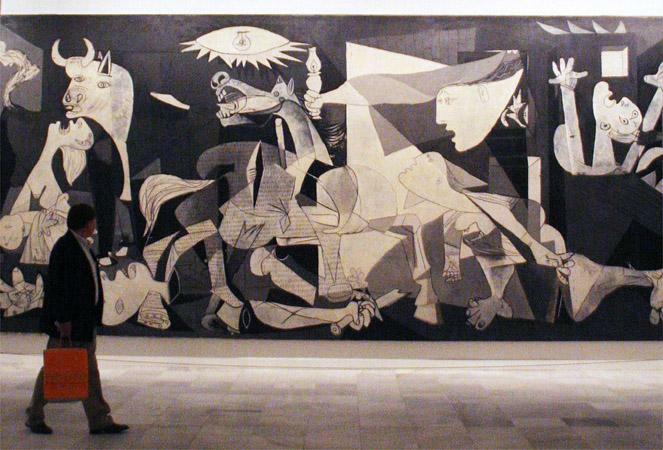 A Picasso masterpiece fills an elaborate gallery wall, proudly standing alongside the sketches and melting swerves of Dali. Deep within the royal palace, you find an old chemists store, with strange bottles of potions untouched for two centuries. 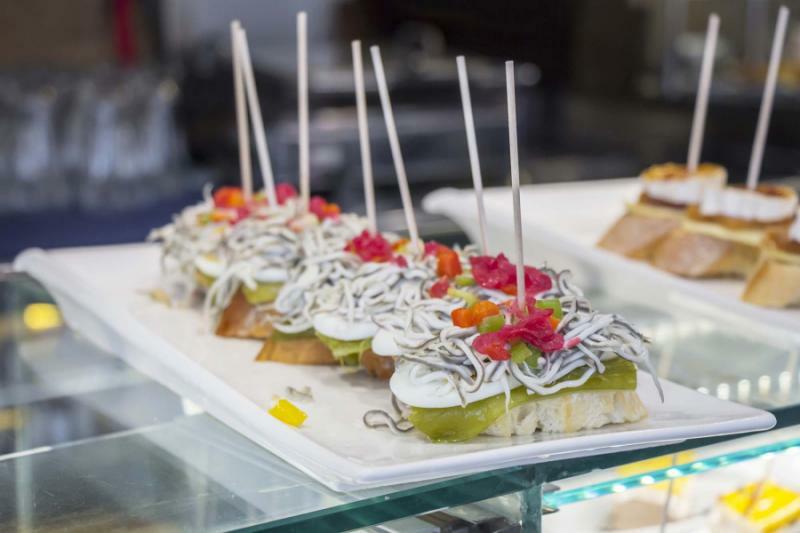 Along narrow lanes, you stop for chocolate and churros, giving you the perfect amount of energy to keep exploring Madrid’s majestic art, architecture, and atmosphere. 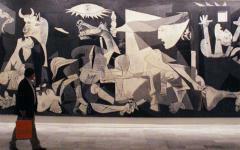 Today’s privately-guided tour takes in the city’s most important attractions, including the Prado and the Renia Sofia. But it also explores the contrasts, immersing you in the legends that make the capital tick. It is a full day running at a relaxed pace, followed by dinner reservations at Madrid’s most unusual Michelin-starred restaurant. The Mudejar Gates wait majestically, peering down at all who enter the Imperial City. 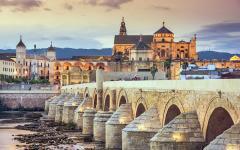 They are the route through one of Europe’s finest walled cities and are a striking starting point on this day trip from Madrid. For centuries, this Imperial City was the centerpiece of kingdoms. Church bells echo across the rooftops, and there are few open spaces amongst the old city’s maze of enchantment. Synagogues present one history, churches create another, and the gothic cathedral brings up stories of war and conquest. An emblematic Toldedan Mudejar style ties everything together, with Arabic inscriptions found close to gothic chapels and a Renaissance hospital. Toledo is just 30 minutes by first-class train from Madrid, and you are met at the station for a private walking tour of the city. Lunch is included and you have an open return ticket to return to Madrid. Picture the excess of a royal palace, constructed at a time when the king ruled over the world’s most powerful empire. Now imagine the opulence of a Catholic cathedral, built in the same period to ward off Protestantism. It is impossible to imagine the effect when both these images are combined. Dramatic and dazzlingly ostentatious, El Escorial is one of Europe’s great palaces. Chandeliers glisten above marble floors, entire rooms are swathed in gold, and famous painters crafted the murals and frescos found down back corridors. 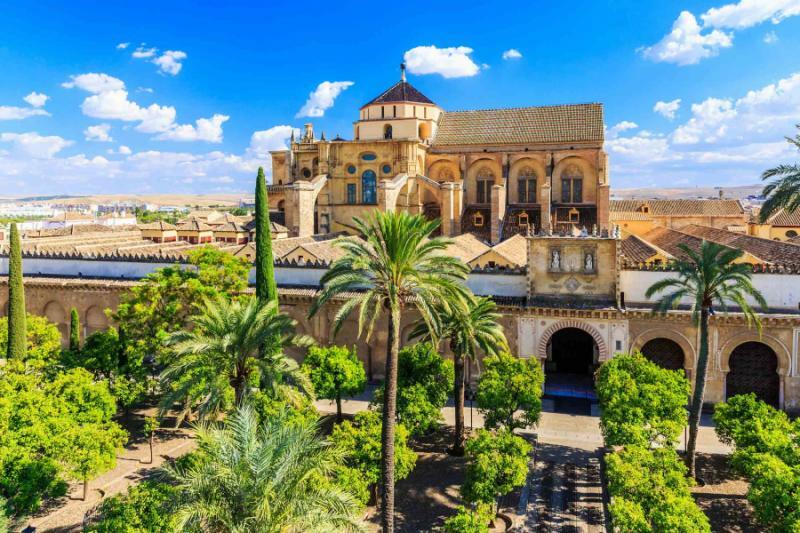 This is a palace turned monastic retreat, flamboyant 16th and 17th-century home of both the Spanish monarchs and the Roman Catholic church in Spain. 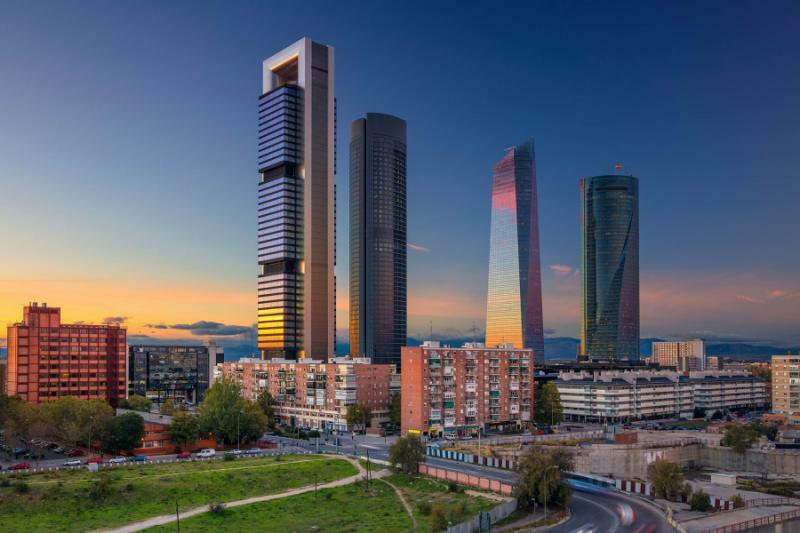 Travel here on a half-day guided tour from Madrid and get lost in the extravagance, then return for a very relaxed afternoon at leisure in the city. 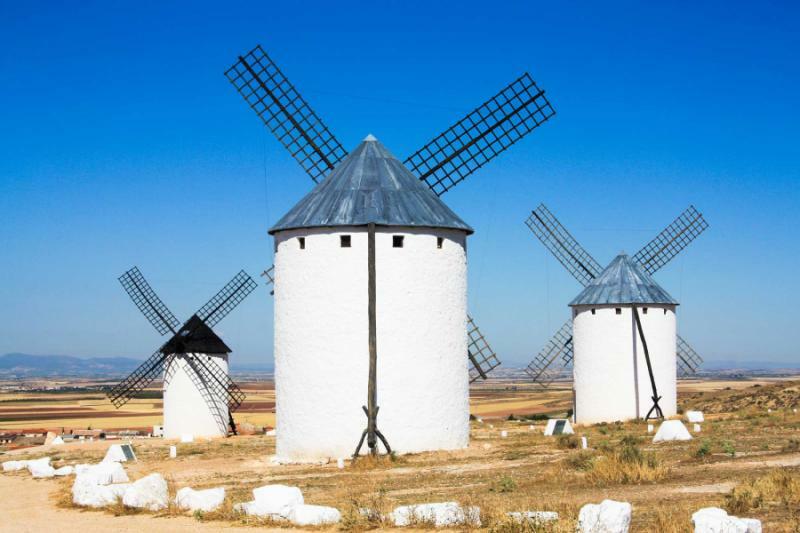 Spain rushes past the window as you zip past windmills carved on dusty plains, whitewashed farmhouses crumbling amidst vines, and fields of olives and the rolling hills of yesteryear. Travel in a first-class carriage on the high-speed AVE service south, over 500 kilometers hurrying past in just two and a half hours. 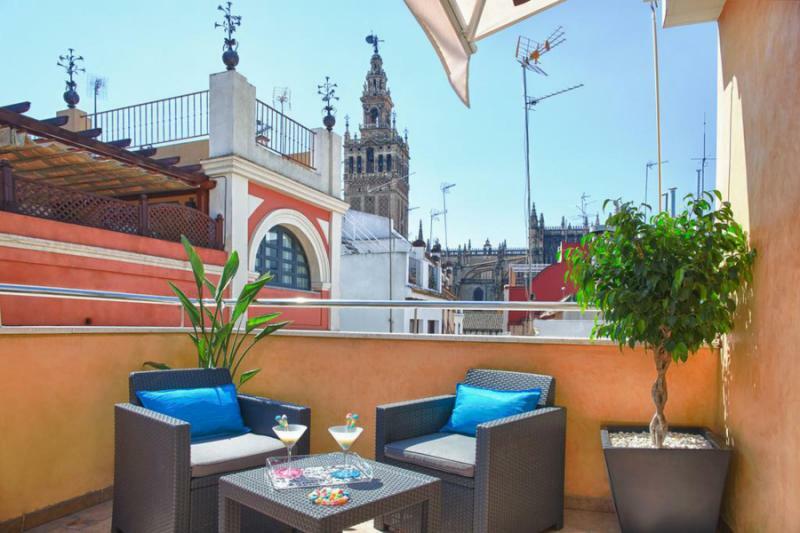 At Seville, you are greeted and transferred to a hotel that reflects the ambience of the city, full of vintage furniture and vibrant colors. The afternoon and evening are at your leisure, and you are in the heart of one of Europe’s largest old cities. There is so much to admire and encounter within walking distance of the hotel. 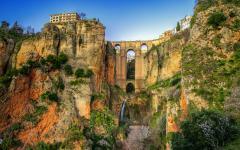 The change in atmosphere is immediately apparent, but some aspects of Spanish culture are countrywide. Everywhere you go, sitting on a terrace and sipping fine wine as dusk starts to paint the sky, will be a constant. Colors swirl across the townhouses in Seville, a regional capital that has always favored thoughts of idiosyncrasy. Roman relics hide, gothic and Renaissance design competes on the same street, lanes lead to the Mudejar Palace and art that combines Hispanic and Islamic influence. Exquisite memoirs to the Islamic Almohad Empire are seen in one part of the old city but switch to the other, and the excesses of the conquistadores can be found. This is where Columbus is buried, and the wealth that he and others plundered gushed through Seville, creating opulent mansions, iconic cathedrals and a whole series of sites now regarded as UNESCO World Heritage. Today’s privately-guided walking tour explores this fabulous wealth of architecture, from the medieval and Baroque to the gothic, Hispano-Islamic and Renaissance. While Seville’s architecture takes its inspiration from the world’s corners, flamenco has its roots in the very fabric of the city. Intimate bars host Andalusia’s finest performers, an elegant improvised guitar enhanced by the intonation of each cantor (singer). Every song is improvised, a beautiful voice bouncing off the old stone walls as a dancer twirls her dress. After half of the performance, a dinner is served, classic local food to accompany the folklore and tradition. While flamenco can be enjoyed all over the region, the bars of Seville create the finest local experience. Andalusia is dotted with pueblos blancos (white villages). Little ever changes here, other than the annual upkeep of the painted facade, making the villages visible from afar. Arcos de la Frontera has the most dramatic location, rising theatrically on a limestone cliff, a purveyor of time standing still. Local butcher shops hum with life, strong coffee aromas float across the square, and church bells chime at improbable intervals. Relaxed and remarkable, this village is your first insight into the pueblos blancos, all of which are less than an hour by car from Seville. Stop here for a relaxed lunch, then loop your way back to the fiery red city, stopping at two other whitewashed examples from centuries past. 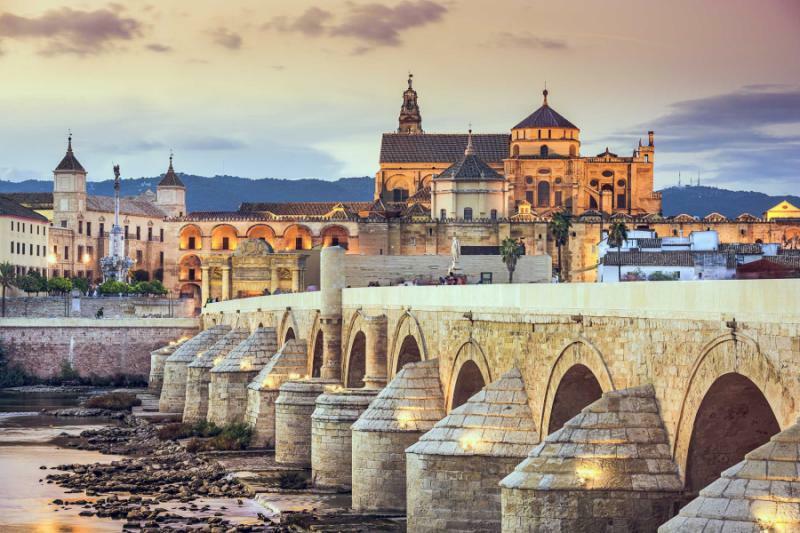 A maze of ornate decoration is the highlight of Cordoba, proud geometric patterns spanning the archways of the city’s Great Mosque. Carved from Islamic and Hispanic influence, this monumental structure is an ode to the rule of the Moors, who brought so much compelling design and mosaic to southern Spain. As you walk further into the mosque, you realize that things are not quite as they first seemed. An entire cathedral has been constructed within the old walls of the mosque, blending two religions and an even more eclectic array of styles. This stunning World Heritage site would be worth a visit if you were many hours away. It is just 30 minutes on the train, and there is a private guide waiting to take you around the mosque and the rest of this 8th-century city. Barcelona never disappoints. For all the fame and tourism, this is a city of wide-ranging pleasures that go beyond architecture. Settle in after the direct flight and into your hotel in the heart of Barri Gotic, where a quarter of Roman history meets gothic design. Wine bars are tucked into Roman walls, cherubs gaze down from church archways, and an atmosphere of indulgence seems to hang in the air. Take your time here as there is so much to uncover within short walking distance of your hotel. In the afternoon, you explore the early work of Gaudi, the aristocratic houses he designed in the mid to late-19th century. Vibrant mosaics reflect the afternoon sun, and strange curves dominate the rooftops, an early indication of the elaborate design Gaudi would later concoct. For this evening, you have a table at a double Michelin-starred restaurant that has been a part of Barcelona’s fabric for more than a decade. 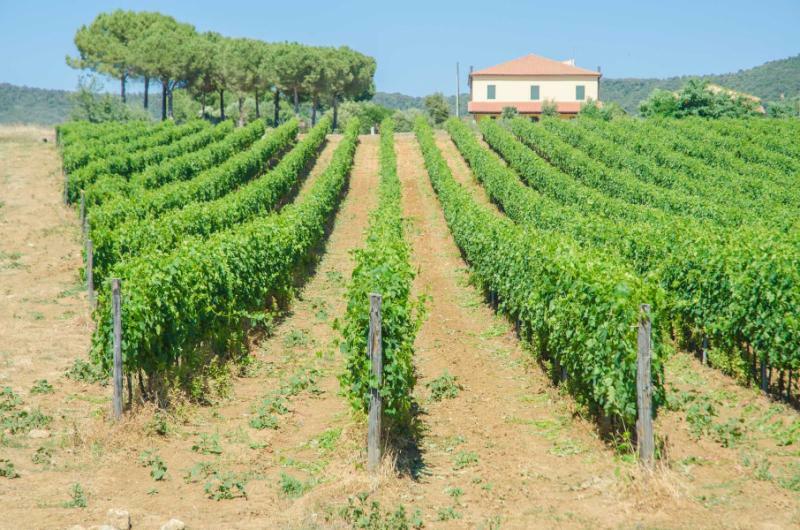 Into Penedes, home of Cava and the centerpiece of rural Catalonia. Life moves slowly here, fueled by the exceptional vintages and the endless supply of great food. Start with bubbles, trying different Cava at two distinguished old vineyards. The winemaker talks you through the style and production, and how it is similar (and superior in local eyes) to Champagne. After a terrace snack of cheese and charcuterie, the private wine tour continues at new-world vineyards, with contemporary winemakers introducing an array of whites and reds. It is topped off with lunch, an affair that spans the grapes, with a light starter accompanying the bubbles, and then a main course of game meat for the Tempranillo-Grenache blend. Return to Barcelona, and the evening is at your leisure. 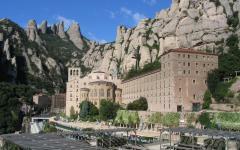 At midday, the choir sings with melodic voices echoing across the murals of Montserrat Monastery. The Black Madonna gazes on, the patron saint of Catalonia and the image that has been attracting pilgrims for almost a millennium. Behind the monastery is the mountain, imperious and inspiring as it casts the province in shadow. You will ascend to this summit first, the morning hours often providing clear views all the way to Barcelona and the Mediterranean. Absorb the midday choir song, then explore the monastery’s art collection, packed full of invaluable works from the likes of El Greco and Monet. 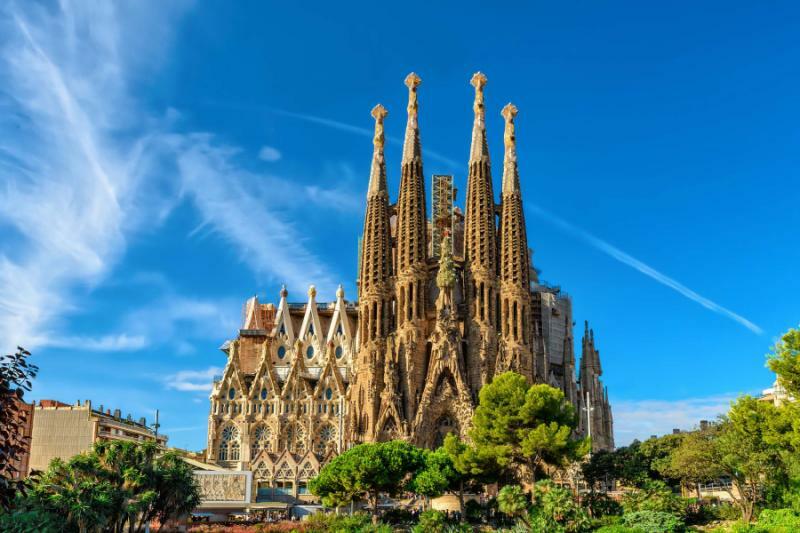 Returning to Barcelona, there is a contrasting religious monument, the unfinished extravagance of La Sagrada Familia, Gaudi’s masterpiece that is more than 130 years in the making. The evening is at your leisure, and you have dining recommendations at a very traditional Catalonian restaurant, run by the region’s most famous modern chef. This day is deliberately left free, and there are many directions to travel. Relax on the coast at one of the bustling central beaches or one of the quieter strips of sand further away. Explore museums and churches or lounge on plazas watching the locals wander by. After the exploration of the last 11 days, this is also a chance to rest and relax before your flight home. 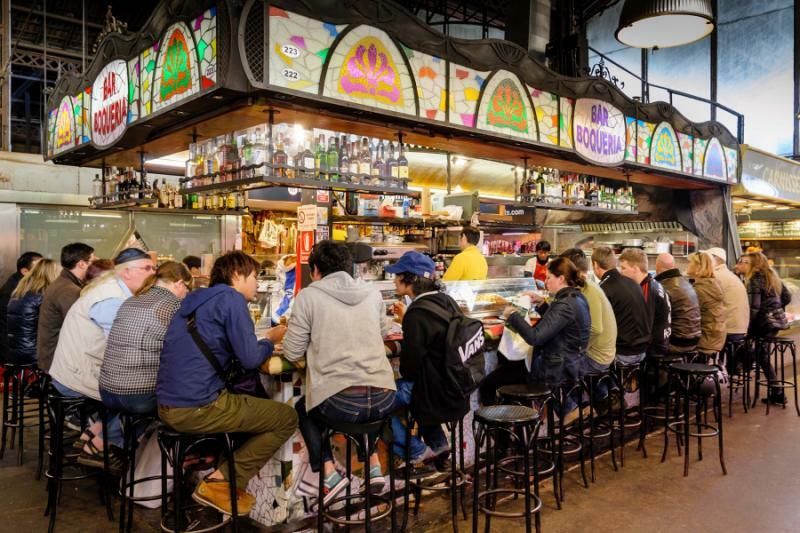 Dining recommendations and reservations can be provided by your local guide in Barcelona. After a leisurely morning, you will depart to the airport for your return flight.